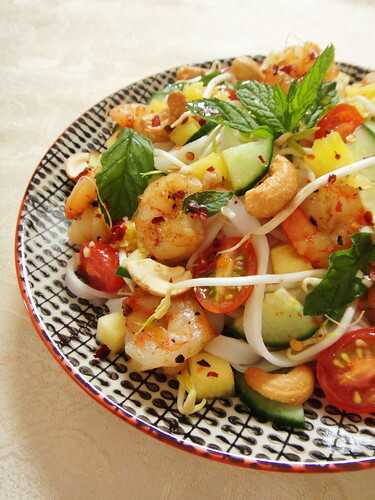 Salad meals have becomes the latest trend among health conscious foodies and bloggers. The average working man or woman has virtually no time to sit and plan a basic balanced meal. Even lunch time has become a dash to grab a sandwich and a bottle of mineral water between two meetings. As we give in to our hectic schedules, our daily meals become increasingly pre-packed or takeaway stuff, which we devour mindlessly as we put convenience ahead of health benefits. 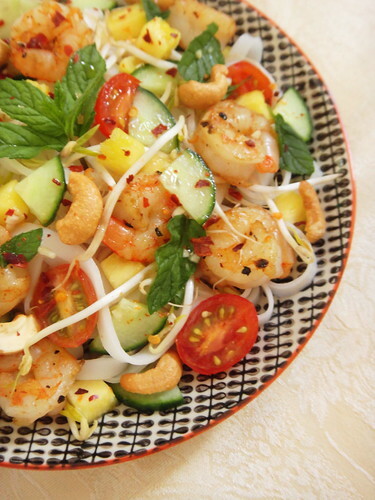 This delicious rice noodle salad can help balance out the junk food with its colorful jumble of prawns, nuts, and crunchy veggies. Taken from the blotchy pages of my well-used salad book, Larousse Salades Repas, this cold Asian salad can be served in verrines as fancy hors d’oeuvres or packed in a mason jar for office lunch. Prepare the dressing by crushing chili, garlic and sugar in a mortar. Transfer to small bowl. 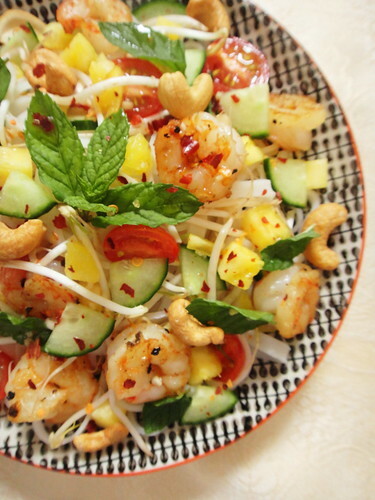 Stir in lime juice and fish sauce and keep the dressing in the fridge until ready to assemble. 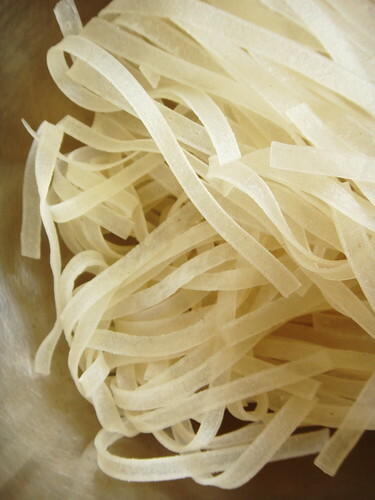 Cook the rice noodles as per packet instructions. 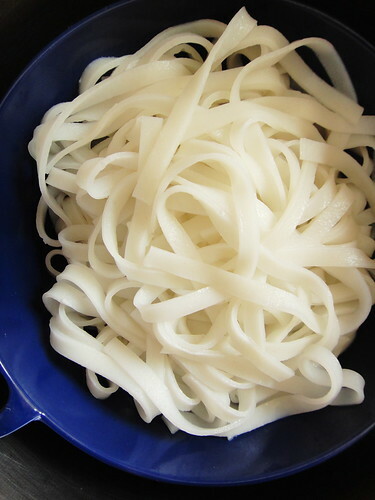 Drain them well and place in serving bowl. 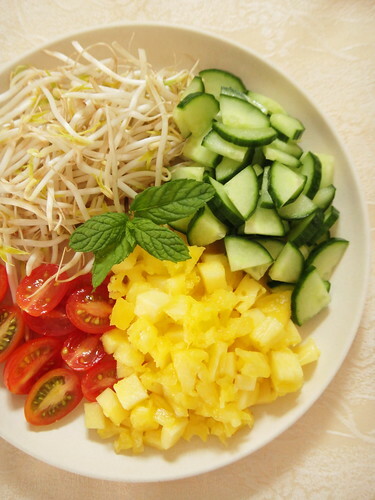 Cut the pineapple into small cubes and slice cucumber thinly. Shell and devein the prawns. 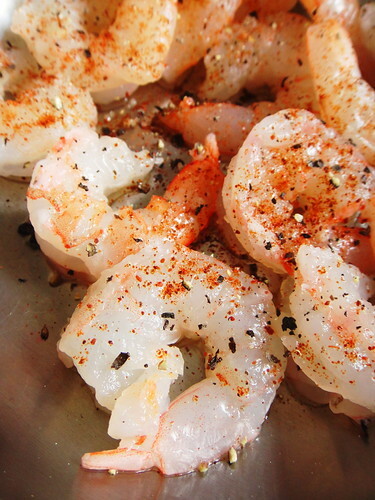 Sautee them in one tablespoon oil until they turn pink and are cooked throughout. Set aside. 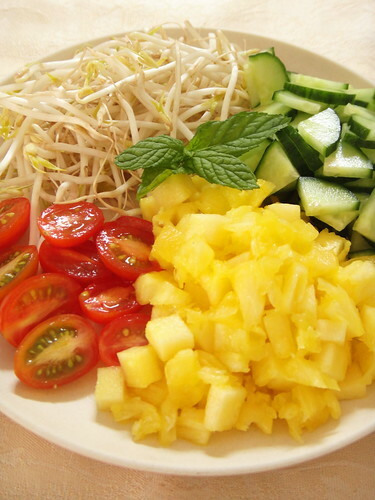 To assemble salad, combine noodles with pineapple, cucumber, bean sprouts and tomatoes. 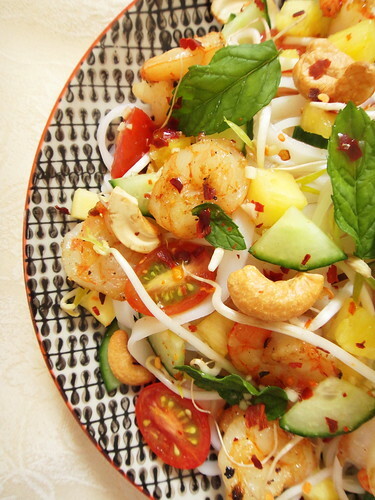 Add the cooked prawns, drizzle salad with dressing and toss in bowl till it is well combined. 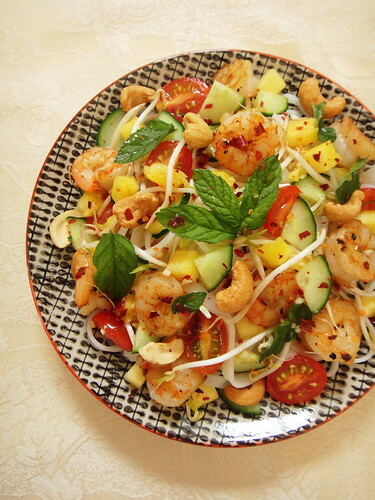 Scatter the salted cashew nuts and fresh mint leaves to top before serving. Makes 4 servings.